Another great video courtesy of Eric Mather from the training session on Saturday 25th March 2017 with a nice surprise for Shihan Cummins at the end organised by one of his young student’s in her early teens, Sophie Prosser of Core Karate. Sophie decided on her own to start the application process for Shihan Cummins to be considered for an honour and upon writing to Buckingham Palace to follow up on this received a letter from Her Majesty including a little something for Shihan Cummins. 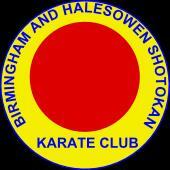 A good wonderful human being as well as an inspired teacher R.I.P SHIHAN. So sad to here of shihan Cyril Cummins passing RIP . I trained under him at Wealey Castle in the early 70s i remember him being a bit too agresive with Shiro Asano and was put through the double doors by a my Geri. I had good times with him at the dojo and a beer later and was proud to have been help in the demonstration moves.